This morning a read an article entitled “I Tried Hubble Contacts And Here’s What Happened” written by Bre Payton. While most of the article actually had nothing to do with Hubble Contacts, by the end of the article the author made it very clear that she thought Hubble contact lenses were extremely cheap (price wise). 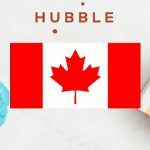 In this article, I will show how the price of Hubble Contacts compares to other brands in order to provide readers with a realistic idea of just how (in)expensive Hubble contact lenses are. By the end, you will see that Hubble Contacts is by no means the cheapest place to buy contact lenses. Click here for an even more in-depth article falsifying the claim that Hubble Contacts are ‘Half the Price’. Click here to read my complete review of Hubble Contacts. 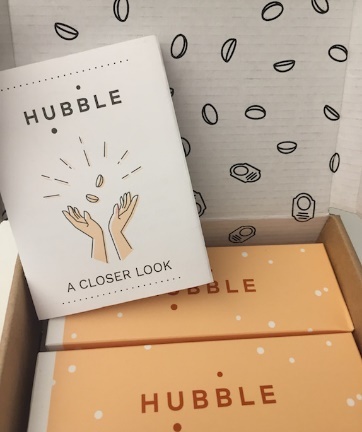 I first heard of Hubble Contacts when they launched and I was interested in their subscription-based model and designer packaging, but they never jumped out at me as being particularly inexpensive. Reading this article by Bre Payton, I realized that there is a misconception out there about where to buy contact lenses at the lowest price. Before I continue I’d like to make clear that I have nothing against Hubble Contacts. I’ve never actually tried their lenses, so I can’t speak to how comfortable they are. My goal is simply to help contact lens wearers by showing them where they can purchase contact lenses to save as much money as possible. *Note* All prices appearing in this article were researched on April 16th, 2017. 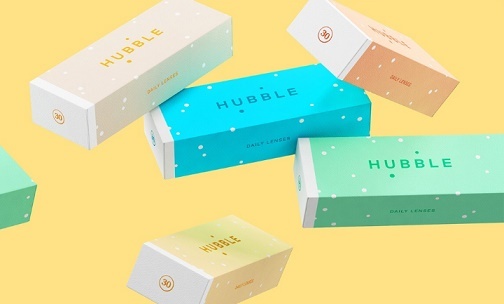 Hubble Contacts – such pretty packaging! Let’s start with Hubble Contacts so we can see how they compare to some different brands and websites. Hubble Contacts pricing is simple. They charge $30 USD for 1 month’s worth of daily disposable contact lenses. The math is very simple for the breakdown on that one, it amounts to $1 USD/day for your contacts. The unique thing about Hubble Contacts is that you can sign up for a subscription and have them send you your contacts every month. Since most people don’t wear their contacts every single day of the year, 30 pairs of lenses can last much longer than 1 month, so you have the option of modifying/canceling your subscription anytime. The other unique thing about Hubble Contacts is the unique, professionally designed packaging. Sure, that has no impact on your contact lens wearing experience, but the boxes sure are a lot nicer to look at than most- who am I kidding – then all other brands. Now, the real question is, are there different brands that can beat Hubble Contact’s cost of $1 USD/day? Of course, the answer is yes. Let’s explore them below. Making this comparison is hardly fair, but I just want to bring it up in case some people don’t already know. 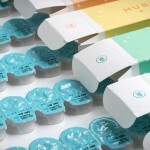 Hubble Contacts sells daily disposable contact lenses. But if you want to save as much money as possible on contact lenses, then you have to consider monthly contact lenses. Every single brand of monthly contact lenses you can think of will be less expensive than Hubble Contacts, by far. Click here for a list of the top 5 least expensive monthly contact lens brands. But as I said, comparing the price of Hubble Contacts to monthly contact lenses is not fair, as we’re not comparing apples to apples. Let’s now look at some brands of daily contact lenses that are less expensive than Hubble Contacts. Probably the best example of a brand of daily contact lenses that less expensive than Hubble Contacts is DaySoft. DaySoft charges $15.98 USD for 1 month worth of lenses (32 pairs). That comes out to $0.49 USD/day, which is half as expensive as Hubble Contacts. Now that’s worth writing an article about! And for those who assume that DaySoft lenses are less expensive because they are of inferior quality to Hubble Contacts, I would argue that point with 2 simple arguments. 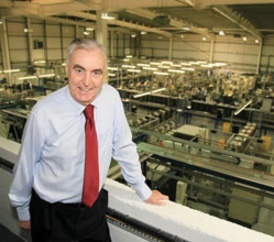 Ron Hamilton – the creator of DaySoft lenses, and inventor and daily disposable contact lenses. 1. DaySoft manufactures their own contact lenses. That means that there is literally no middle man between you and your contacts. Hubble Contacts have their lenses made from a manufacturing plant in Taiwan called St. Shine. This means that Hubble Contacts is essentially a middle man between you and St.Shine. That is why they charge more. 2. DaySoft contact lenses were designed by Ron Hamilton, the inventor of the daily disposable contact lens. Before he invented daily contact lenses, he worked for large contact lens manufacturers like Bausch + Lomb and CooperVision. He has a lifetime of experience in the contact lens manufacturing industry and used it to develop DaySoft. But that’s not all folks! There are many other brands of daily disposable contact lenses out there that can also beat Hubble Contacts’ price. Let’s look at some now. 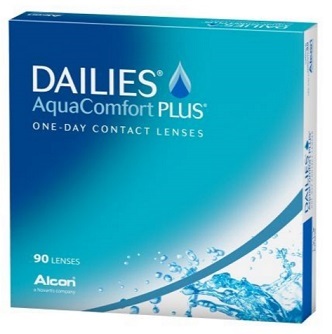 Dailies AquaComfort Plus is brand made by the company Alcon, one of the largest manufacturers of contact lenses in the world. Unlike Hubble Contacts and DaySoft, Dailies AquaComfort Plus does not have a fixed price. This is a brand that is sold by many different retailers, and each retailer set’s their own price for it. I will be quoting the price from DiscountContactLenses.com, as that is the place I’ve found where Dailies AquaComfort Plus is sold for the lowest price. DiscountContactLenses.com sells Dailies AquaComfort Plus 90 packs for $33.24 USD. A 90 pack is good for 3 months for 1 eye. If we break it down per month for both eyes, that comes out to $22.16 USD. That is equivalent to $0.74 USD/day. The advantage of this brand is that you can buy it in large 90packs which drives down the cost. You’re also 100% more likely to get approval from your optometrist for this brand compared to either Hubble Contacts or DaySoft. Made by the same manufacturer (Alcon) as Dailies AquaComfort Plus, Focus Dailies is a bit of an older brand, but even easier on the wallet. Similar to Dailies AquaComfort Plus, the price of Focus Dailies will vary from retailer to retailer. According to my research (which can’t be beaten), Lens.com has the lowest price for this brand at $28.99 USD for the 90 pack. This works out to only $19.32 USD/month. That’s $0.64 USD/day. 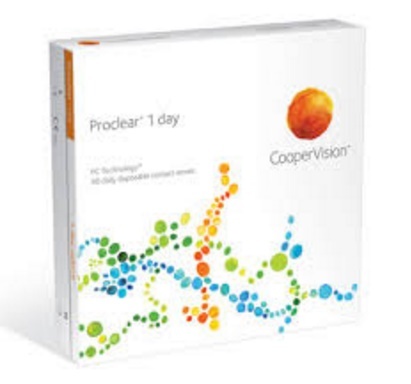 Proclear 1-day is made by the contact lens giant CooperVision. This brand is a great quality low-cost option for daily contact lens wearers. At Lens.com a box of Proclear 1-day 90 pack costs $38.99 USD. That works out to $25.99 USD/month or $0.86 USD/day. 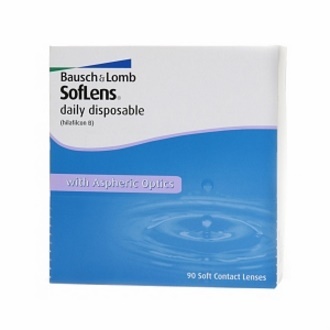 The brand Soflens Daily Disposable is the low-cost daily disposable option from the company Bausch + Lomb. Known for being thin and not irritating the eyes, this brand has been around for a long time and continues to provide contact lens wearers a clear and comfortable contact lens experience. At Lens.com a box of Soflens Daily Disposable 90 pack costs $29.99 USD. That works out to $19.99 USD/month or $0.66 USD/day. Are there other brands of daily disposable contact lenses that are less expensive than Hubble Contacts? Yes. Do I feel like beating a dead horse and making this article even longer? No. So where does Hubble Contacts fit in? The price of Hubble Contacts puts them in the average price range for daily contacts. They’re not the most expensive, but they certainly aren’t the least expensive either. What do I think of Hubble Contacts? Like I mentioned at the beginning of this article, I am 100% neutral towards Hubble Contacts. I track contact lens prices and I try to save as many people as much money as possible on their contact lenses. I did not write this article to dis Hubble Contacts, I wrote this article to address the notion that they are the cheapest daily contact lenses out there. They simply are not. What brand is right for you? The right brand for you is not only the brand that is the kindest to your wallet. It is important to have an optometrist assess any brand of contact lenses that you wear in order to make sure that they’re a good physical fit for your eyes. If your optometrist approves of you wearing any of the brands listed above, then you’re poised to save a lot of money on contact lenses going forward. Hi Jack, if you buy a year’s worth at a time, you can certainly get daily contact lenses for than Hubble. What brand do you currently use? Hubble contacts, unfortunately, did not sit correctly on my eyes when I ordered the free trial for 3 dollars shipping. I canceled my subscription. Since then Hubble continued to charge my card and I moved over 1000 miles away from my previous address. It seems as though the customer service reps are more afraid of having a cancel or refund on their name so they lie and say they canceled and they didn’t. I had a supervisor call yesterday and hang up on me. I then received an email stating it was the end of her work day. I keep getting emails stating a supervisor will call but I suppose I am not the priority now. So hopefully, you have no issues with the actual contacts, the price is great but if their “one size fits all” doesn’t fit you, you are screwed! I am still waiting for a supervisor to call. I keep getting plenty of emails saying one will. What happened to customer service? Why is it ok for companies to steal money and get away with it? Why are employees scared to help people proficiently? Because the companies care more about numbers than people! Oh my, Michelle, that’s terrible! I’m actually a little curious how Hubble charges their customers. Are you charged $30 every month? Or do you pay up front for a certain number of months? I’m glad you shared your experience about the fit/comfort of Hubble contacts. 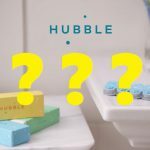 Hubble has very successfully focused the entire conversation about their contacts around their price. But when you look into the details, the material used for their contact lenses is pretty old technology, and there is nothing really unique/special about them. I feel like the ‘one size fits all’ claim is misleading, and mostly just a spin on the fact that they only offer one size. To be fair, most contact lens brands only come in a fixed size, however, that certainly doesn’t mean that they fit all people’s eyes. I really hope that their customer service gets their act together and finally solve your issue. Feel free to post an update when your case is finally resolved. The way I avoid these overcharges and non-cancellation charges is to never give my real credit card. I decide how much of the service I want to try, whether delivery meals, online dating, contact lenses etc, and go buy a prepaid Visa for that amount. The company can only charge what I have available. So if I decide at three months to cancel and I only put three months of funds on the card, well they can’t get more. I highly recommend it. Because no company should be making it hard for anyone to cancel a product or service. Then again, I’m in charge and I say when enough is enough!